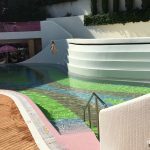 Semiramis is the coolest boutique hotel in Athens. Good for just spending a night on your way to and from the airport, but also a superior weekend destination, whether you travel alone, on business, with friends or family. 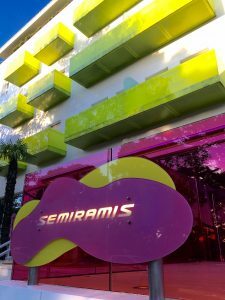 Semiramis is a result of a collaboration between owner Dakis Joannou and famed industrial designer Karim Rashid. 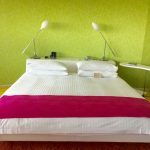 Karin has used his signature “lollipop”colors throughout the hotel. In the rooms, the bar and restaurant, the reception and the pool. But even I, who usually prefer a monochrome style, love it. It actually gave me a positive mood boost. Semiramis is located in the beautiful, upscale Kifissia neighborhood, and it is surrounded by fancy houses and green vegetation. Within just a few meters you will find several good restaurants, cafes, bars and designer shops, and it feels really safe to stroll here. The hotel has 51 various sized rooms, but if you travel with your family, I suggest you try the penthouse suite. The room is spacious, but the patio and 180degrees view makes it one of my all time favorites. The breakfast, which is good, is served in the hotel restaurant by the pool. I also loved the lunch menu here, because it contains a mix of Greek and specialties from other food districts. 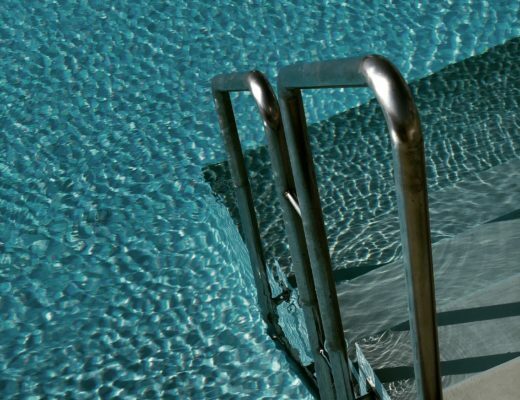 The best thing about this hotel, though, is the pool. Colorful and well sized. Surrounded by plenty of comfortable sunbeds where you can move around according to the sun. The towels are soft and the service is good. I always appreciate the free water and smiling staff. The Semiramis Hotel with everything it offers, is popular among business travellers, but I believe it is the perfect weekend destination for everyone seeking out the warm temperature, shopping, culture, and dining, but most of all, some relaxed quality time in beautiful surroundings.